You've decided to buy the new television. Now, how about that warranty? There will probably be a sales pitch from a salesperson at the store. But Clarence Bethea, CEO of the Minneapolis-based app Upsie, wants you to look to your phone instead. He says Upsie can sell you a similar warranty for a lower price -- and help you keep track of it by storing it within the app on your smartphone. "Our main focus at Upsie is to give consumers another choice," Bethea said. "A lot of consumers don't know that you don't have to buy at the register. You can go home, think about it, and not have to feel that pressure from that salesman who's pitching you really hard so he can make a commission off of it." 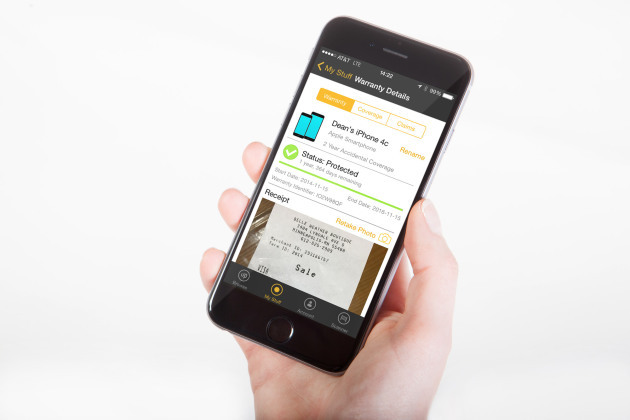 With Upsie, users can look up warranties by name of the product or use the app to scan a barcode and pull up warranty information. The warranties, offered through Texas-based New Leaf Service Contracts, cover an assortment of electronics, appliances and tools. Users have up to 60 days after purchasing a product to buy a warranty through Upsie. Bethea said Upsie's warranty prices are cheaper because the app's markup, about 15 percent, is less than what most retailers charge for similar coverage. "We are the company that takes the margin out and makes the experience better," he said. Upsie, free to download for iOS and Android, launched in November. Bethea declined to say how many people are using the app, but said many of the users so far are Millenials or moms. And what have they been buying warranties to cover? Smartphones and televisions.